Masterful selection of various vinegar rice to make the Perfect Sushi. 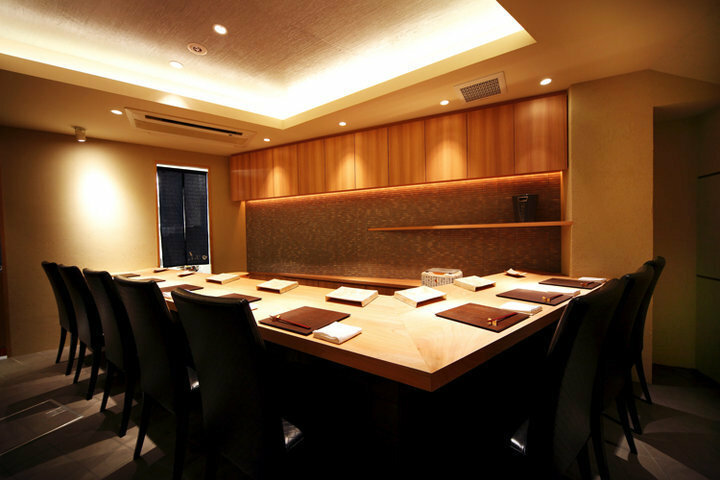 A secret sushi restaurant in Kabukiza, Ginza. 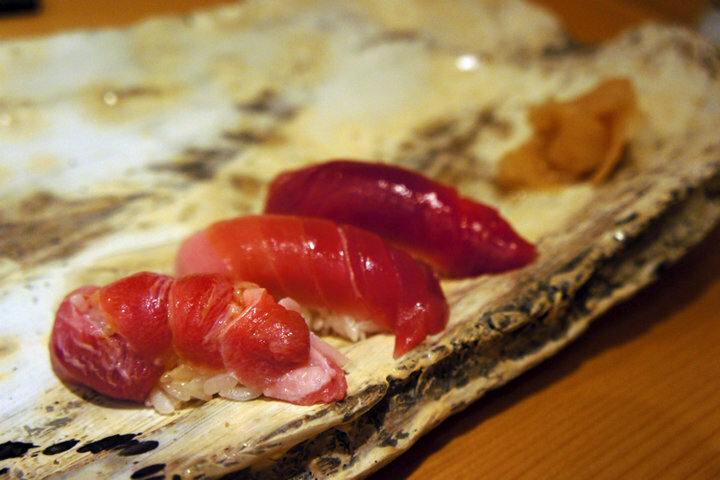 Sushi Fujita, a secret Sushi place located near Higashi-Ginza Station, Tokyo Metro Hibiya Line. 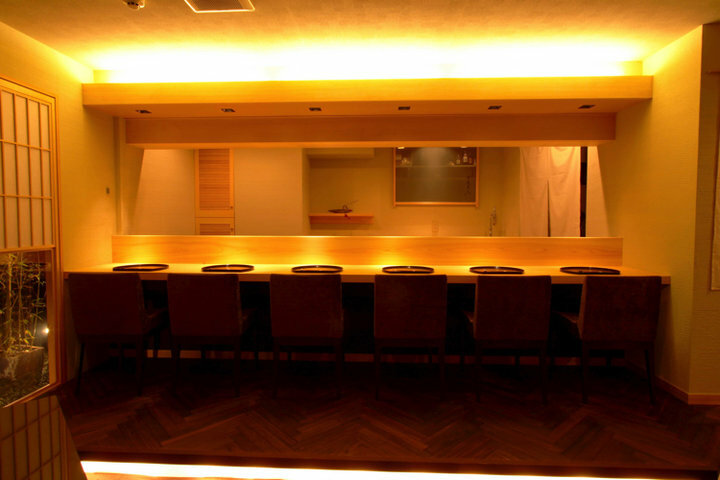 The counter seating made of Japanese Zelkova, presents a high-end space to let the guests experience the warmth of a plain wood. 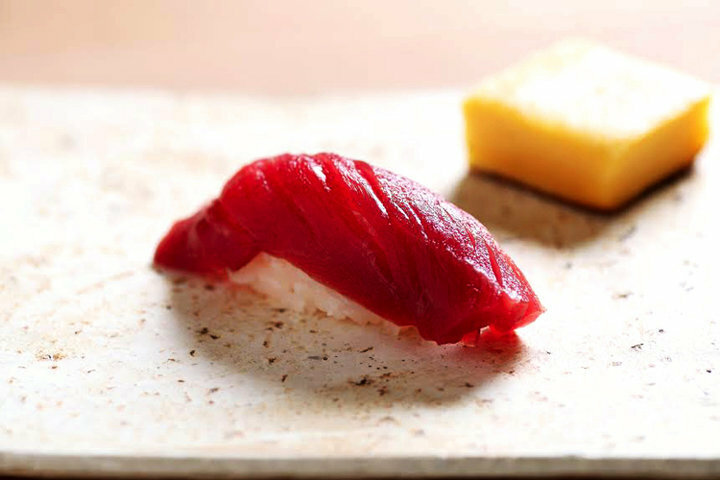 Close to Tsukiji and Kabukiza in Ginza, this sushi restaurant can also serve guests in English, as it is often visited by foreign visitors as a part of their sightseeing around Tokyo. 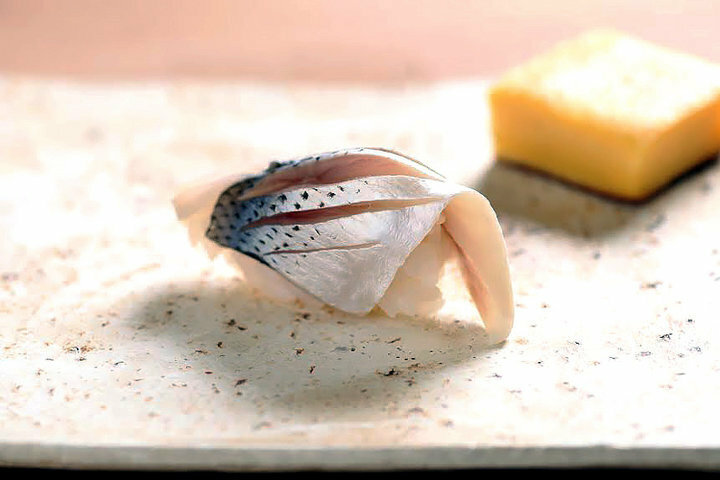 The restaurant offers Chef's selected course only; including nibbles for drinks, charcoal-grilled dishes and Nigiri sushi at the end. 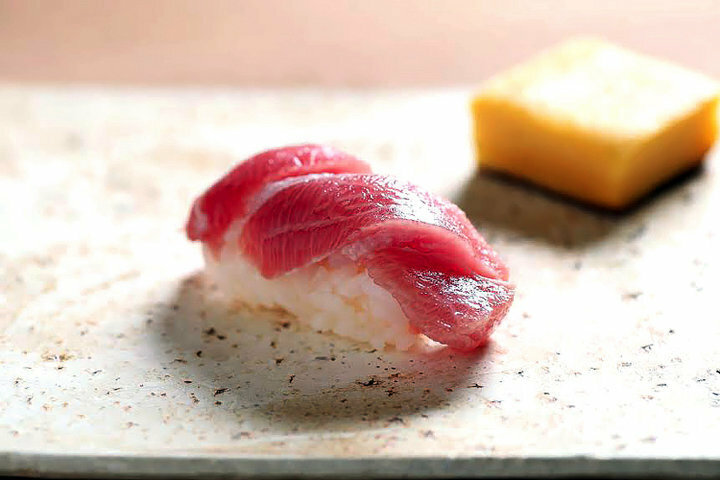 Sushi rice is prepared with 2 different brands of vinegar, creating the best taste of Sushi. 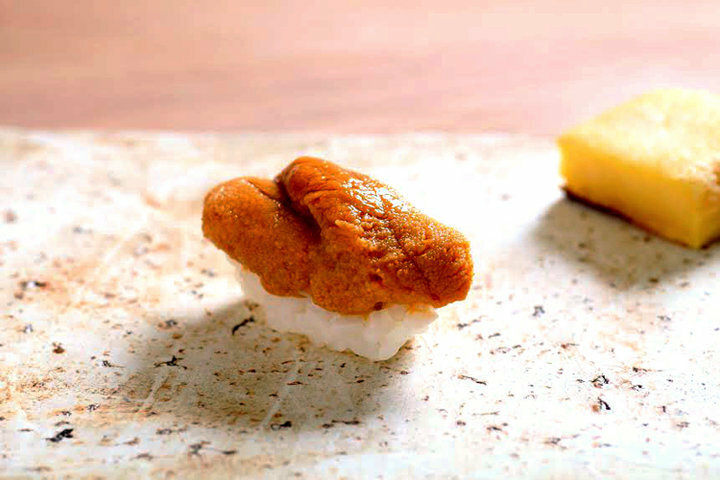 Tamagoyaki, Japanese rolled omelet is a Must-try dish here. 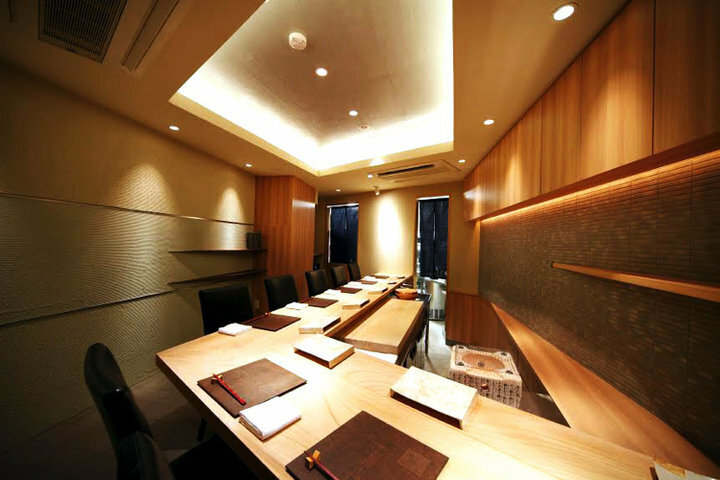 Sushi Fujita has been designed to be a restaurant you would like to visit regularly. Ideal for special occassion, group dining and so on. 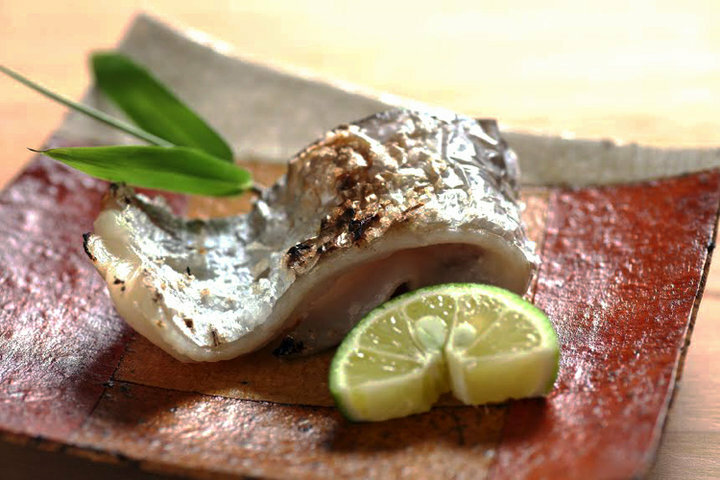 Special dishes for children or vegetarians are also available under request. Please inform us in advance. This is the perfect restaurant highly recommended for a variety of occasions.